DERMO CAPILLARY MASK TREATMENT PROFESSIONAL has been formulated for preparing the scalp before receiving an intensive shock treatment. 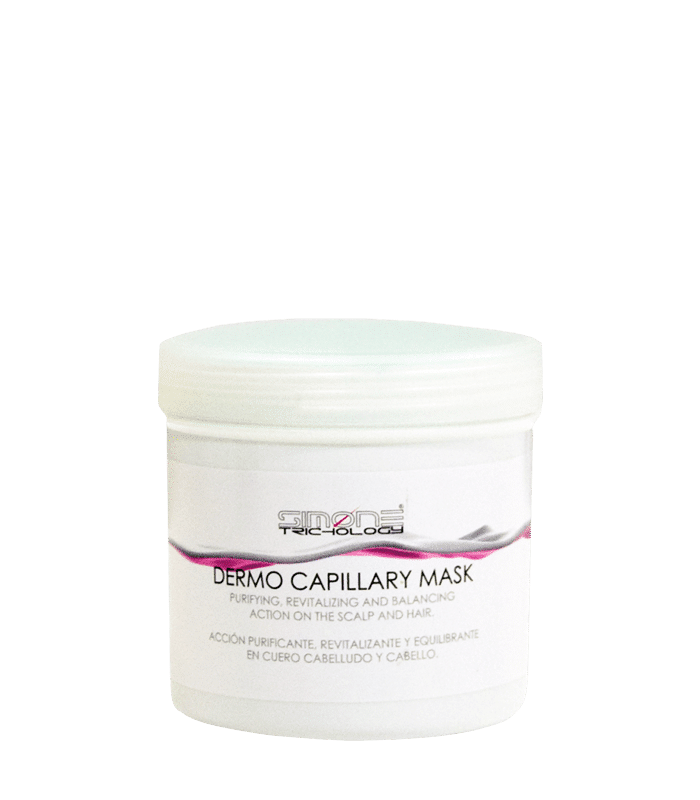 DERMO CAPILLARY MASK TREATMENT PROFESSIONAL oxygenates, purifies, balances and revitalizes the scalp; reduces rednesses, itches and prevents any kind of irritation due its bactericidal and germicide action. Apply SIMONE TRICHOLOGY DERMO CAPILLARY MASK TREATMENT PROFESSIONAL once a week directly in scalp before washing, allow it acts during 20 minutes; then wash the hair with an specific SIMONE TRICHOLOGY shampoo. Apply SIMONE TRICHOLOGY DERMO CAPILLARY MASK TREATMENT PROFESSIONAL after every washing, and allow it acts during 5 minutes, then rinse the hair.